TOP LEFT: G.A.A. Hayseeds make the South barnyard ring with the good of farm noises. TOP RIGHT: "What do you get when you sing songs from The Carpenters?" 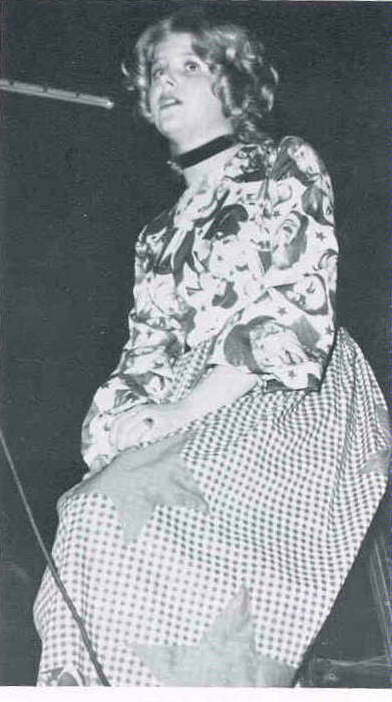 Karen Morgan received the second prize in the Rebel Follies. 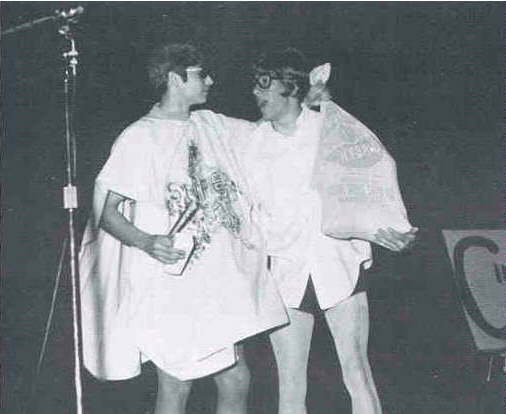 CENTER LEFT: "Super Star" John Nagy provides "Cinderella" Rick Kuhlman with the necessities for a ball. 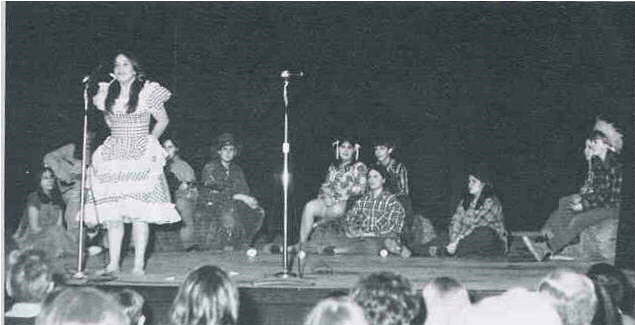 CENTER RIGHT: The Rebellettes gave the Follies a rousing welcome. Pam Grieve astounds the audience with her magical abilities in "Comings and Goings." The Freshman Class shoots the Bird (Jane Harvey).